Mokpo is located at southwest of Jeollanam-do. There is Muan-gun at north and Sinan-gun at west with lots of island. And also there is Yeongsanho Lake adjacent to Yeongam-gun, Haenam-gun, and Jindo-gun. Mokpo opened a port in 1897. 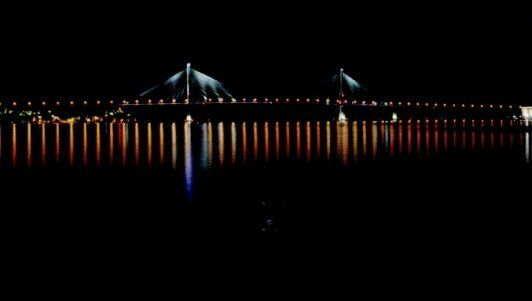 It was prosperous port city when Honam Line was opened. And it is region centered for culture and art. Seohaean Expressway, high-speed railroad and Muan international airport offered convenient accessibility to travel. And there are plenty of museums and cultural remains. Yudalsan Mountain was located at south-westernmost of Korea peninsula. It is a end part of No-ryong mountain chain. 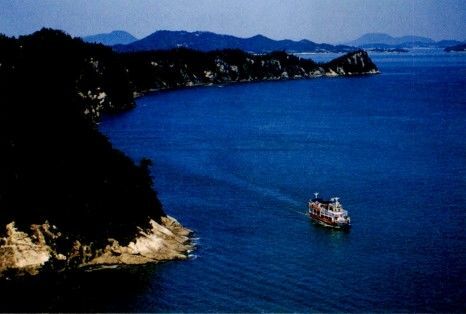 It is inside of city and people can see Mokpo city and an archipelago. And also refresh the mind for the artists with impressive scene here. At the peak, a panoramic view of an archipelago was spread out and it reminds Oriental painting with the view of big and small boat on the sea. 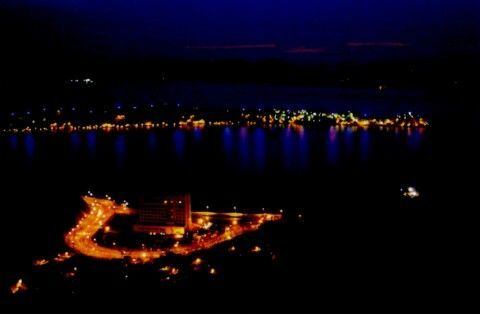 The view at the peak will remain in the tourist’s memory for a long time especially the view of sunset and the night scene of the Mokpo port. Gohado island is 2km away from Mokpo. Gohado is named because of the location below the big mountain(Yudalsan Mountain). It has also different name like Bohwado island or kalsum etc. It is believed that there are people have lived since the period of the Three States. In the time of Japanese Invasion of Korea in 1592, it was used for strategic place by admiral Yi Sun-shinl . In this place Japanese army was defeated. 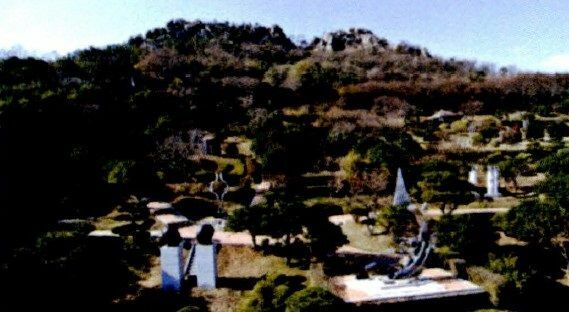 And for this victory, there is Monument for Admiral Yi Sun-sin here. Gohado island has a slight grade for tracking course which feel like to see the dragon’s flying image. So it seems to receive the force of Dragon walking on the course. Oedaldo Island is 6km away from Mokpo. And it is an island of love. It has uncontaminated areas of the sea. It still keeps the original nature itself and it also gives comforts with big and small islands along an archipelago. Many families and couples have visited to see the blue lightening ocean, soft sands and beautiful glow of the setting sun. It provides water activity, Clam-gathering,Tideland Education and Experience for the kids; plentiful foods, climbing and green shower for the parents ; camping, strolling and lodge of Korean-style house for the couple. Oedaldo Island gives important memories to keep them for a long time because it satisfies the condition as recreation area. Samhakdo Island shows symbolically cultural and mental joys and sorrows of Mokpo people. Because it has the legend of 3 women who love one young general in Yudalsan Mountain died and became a crane. And fell down on island. It is recognized for mecca of marine leisure with recovery project of Samhakdo Island like construction of Nanyeong Park, Yacht Marina. 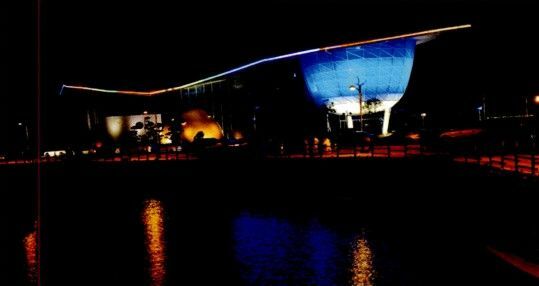 There Mokpo Marine Science Museum was opened and Kim Dae-jung Nobel Prize Memorial Hall under construction. Nature friendly place is at 12km of costal road around Pyeonghwa Plaza.There are convenience facilities and it is well used for multi-use culture center like cultural place, family culture place, and outdoor theater etc. 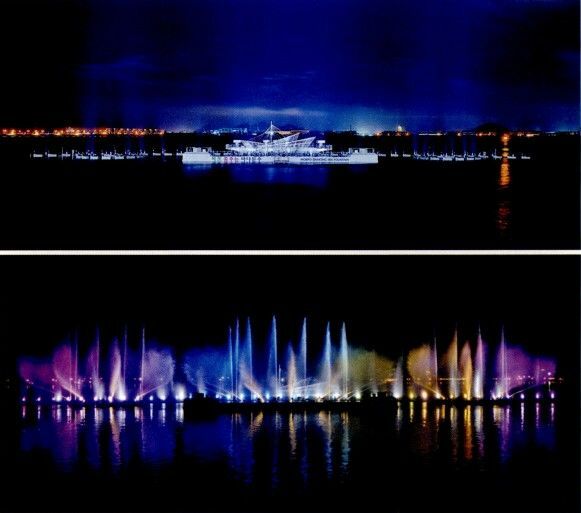 Following costal road, strolling road of plaza, enjoying the Yeongsan River view, There are many ways to enjoy the tour. Some part of floor was made of marble. So people can safely enjoy inline skating . when the night comes, there are colorful neon lights everywhere. Cruise ship on-deck café, western style bar, fusion bar makes a wonderful scene here.